The Colerne Reserve is our state of the art wine storage facility operated on our behalf by Octavian. 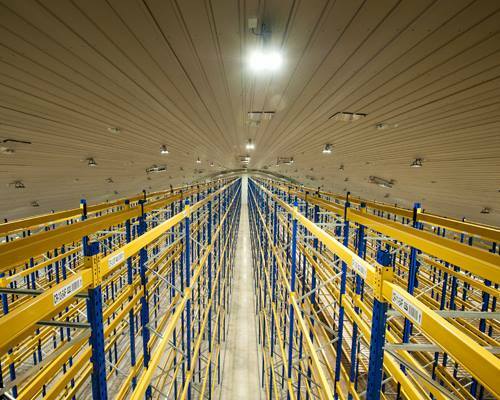 The warehouse allows for increased client reserves and also signals BI's commitment to innovation and providing the best possible services to our customers. To view your cellar, you must log in or create a new account. If you are logged in, but don’t already have a BI Reserves account, email our Client Reserves Manager Lewis Byrne to set one up. If you are not logged in and don’t already have a BI Reserves account, please register for one here, making sure to tick the ‘Fine Wine Storage’ box in the Services section. 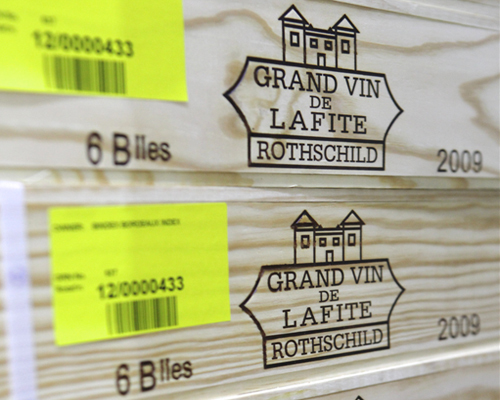 Buying and selling wine is only part of the BI package; we also offer the finest wine storage facilities in the UK. To ensure your wine is kept in perfect condition, we store our customer reserves in the Colerne Reserve, a state of the art wine storage facility operated by Octavian – the world’s leading long term fine wine storage provider. 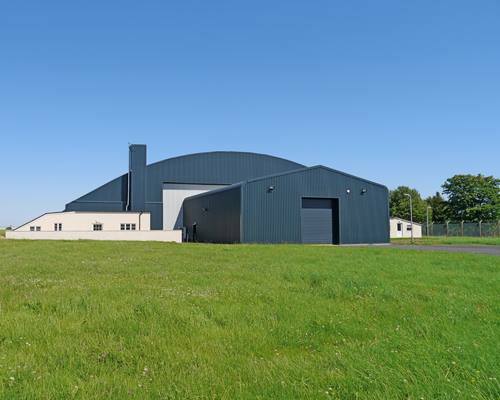 The high-security, heavily insulated site boasts cutting edge technology to control temperature and humidity and uses LED lighting to eliminate the UV rays and heat generated by conventional lighting – and keep energy use to a minimum. In addition, bespoke picking machinery means minimal vibrations once the stock is in place. At the facility, our own BI team of over 20 personnel checks every case in and out, thus giving you the reassurance that your valuable wines are in the best possible hands. In addition each case will be logged and barcoded on receipt making every case individually traceable. 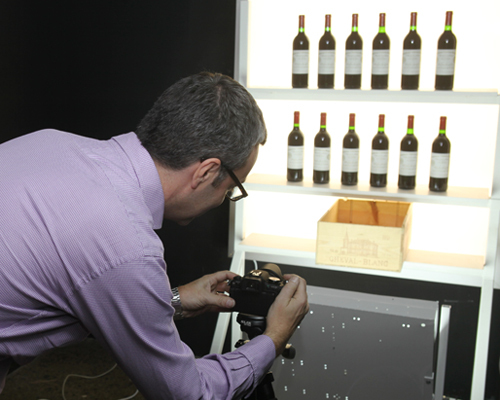 BI can arrange a viewing of your wines by appointment and/or provide condition reports with digital photographs of your wine. This service is free of charge for wines purchased from us, or £5.00 per case for wines purchased from elsewhere. For complete control and ease of management, you can view your BI Reserves online and arrange to deliver or sell your wines directly through the website; once you are registered, just click on the My Account link at the top of the page, log in and you will see a full breakdown of your wines. Our proprietary algorithm provides a market value and shows the percentage return (where cost prices are available). You can decide what to drink, keep or sell. For further peace of mind, you can be assured that all wine in your client reserves is insured to full replacement value. Our current storage charge is £2.63 excluding VAT per 4.5 litre case (covers all cases up to and including 4.5 litres, or the equivalent of 6 regular bottles) per 6 month period (or part thereof). Any cases above 4.5 litres and up to and including 9 litres (the equivalent of 12 regular bottles) will be charged at the full case rate of £5.25 excluding VAT per case per 6 month period (or part thereof). The charging periods are January-June and July-December each year, invoiced in arrears. These terms and conditions apply to any storage or similar services provided by us, BI Wines and Spirits Limited (“we” or “us”) to you, the customer (“you”). We will not be bound by any other terms and conditions which you may supply or seek to impose on us. in any other case in advance of sending the wines to us for storage in which case we will supply you with a booking-in reference. Should any wines arrive without a booking-in reference we reserve the right to refuse receipt of the goods into our storage facility. Prior to sending wine not purchased from us for storage you must provide copies of the original invoices as evidence of the in bond values. We do not accept for storage mixed cases or loose bottles purchased from third parties without our prior agreement. Unless we have agreed to arrange for collection or we have sold the wines to you and are placing the wines immediately into storage, you will be responsible for sending the wines to us for storage. You will also be responsible for insuring the wines in transit unless we agree to collect the wines. We reserve the right to apply a collection charge if we collect wines for storage on your behalf. If wines purchased from us are not collected or delivered within 60 days of the later of the date of the invoice or of the wines becoming available for collection or delivery you agree that we will place the wines into storage and these storage terms will apply. Please note that we will not inspect wines when sent to us for storage. We will not take any steps to verify nor accept any liability for the authenticity, provenance, quality or condition of any wines bought from third parties when placing them in our storage facility or while storing the wines. If you have purchased the wines from us and we have agreed to store them on your behalf then we will arrange for them to be delivered to and placed in our storage facility. 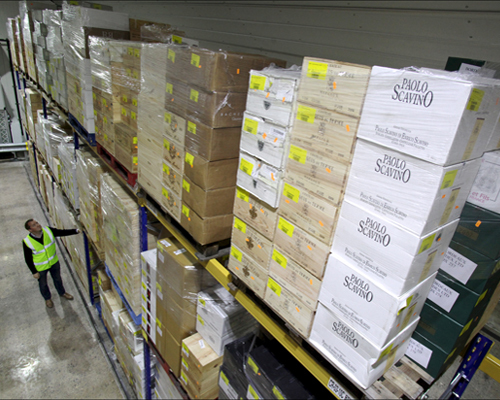 You agree and acknowledge that our storage facility is owned and operated by a third party in a facility where the temperature and humidity conditions are appropriate for the storage of fine wines. Our storage charges will be set out on our website and may change from time to time. We will invoice you for our storage charges in arrears every six months for the rental periods of 1 January to 30 June and 1 July to 31 December each year. Our storage charges will be charged on the basis of a charge for each 4.5 litre case of wine (or part thereof) per six month period (or part thereof). For charging purposes the volume of any case will be rounded up to the next whole multiple of 4.5 litres. Any wine placed in storage during a charging period will be subject to a charge of a full six months for that period and any wine removed from storage during a charging period will be subject to a charge of a full six months for that period and accordingly we will not refund any unused portion of a six-month storage charge. Your obligation to pay our storage charges for a case of wine will commence on the date we have agreed to store the wine. You agree to discharge the cost of any unpaid storage before removing any wines from storage. If we have not yet invoiced for a period of unpaid storage then we will issue an invoice when you ask to remove the wines from storage and this invoice will be immediately due for payment. You will retain ownership of all of the wines we hold on your behalf at our storage facility, subject always to our rights under clause 7 below. We agree to arrange for the wines held on your behalf to be insured against damage, loss or theft at the lower of replacement or market value. Please note that the insurance will be provided by a third party and will be subject to various exclusions and limitations. We will supply a copy of these exclusions and limitations to you on request. You agree that our liability with respect to any loss you may incur will be limited to such amount as we may recover under our insurance policy. You will be entitled to collect any wines we are holding in storage for you by giving us at least two full business days' prior notice to be received by us before noon. For high volume or large requests we may require more than two business days’ notice. All fees and charges owed to us must be settled in full before you will be permitted to remove wines from storage. Where wines are held in a bonded storage facility (duty unpaid) you will be required to pay duty and VAT on the wines in order to remove them from the facility. You agree to attend the facility and collect the wines on the date agreed. We may agree, as your agent, to arrange for delivery of the wines to you, in which case you will be responsible for all delivery costs. We will be entitled to charge interest on any sums owing to us at the rate of 8% above the Bank of England base rate from the date payment is due. In the event that any amount is owing from you to us (whether that amount arises under our terms of sale, these storage terms, as a result of interest charges or otherwise) then you agree that we will have the right to purchase any of your wines which are held by us at a price governed by these terms in satisfaction of your liabilities. Upon that purchase, we will hold title to the relevant wines and we will then be free to sell or otherwise deal with those wines at our discretion and we will not be required to account to you for any further sums received by us for those wines. In order to exercise our right to purchase wines we hold for you to satisfy your liabilities to us we will send written notice to your last known invoice address of our intention to purchase the wines. Thirty days after sending such notice we will be entitled to take ownership and possession and (at our discretion) dispose of some or all of your wines which are held by us. Upon purchasing the wines, we will credit you with the purchase price of the relevant wines (the “credit amount”). The purchase price will be the LiveTrade bid price for wines traded on our LiveTrade market-making screen or 80% of market value for other wines. Market value will be assessed based on our list prices or by making reasonable enquiries and will be assessed on the date which falls 30 days after the notice referred to in clause 7.3 is sent by us. We will set the credit amount off against any sums you owe to us. If the credit amount exceeds the sums you owe to us we will account to you upon request for any excess but we will not be obliged to pay interest on such excess. If any balance remains outstanding owing to us after we have purchased the wines and credited the credit amount to you then the balance (including interest at the rate specified in clause 7.1) shall remain payable by you. Our right to purchase wines we hold for you to satisfy your liabilities does not affect any other remedies we may have. You agree that given that the credit amount represents the typical price we would pay for the relevant wines, and given the existence of fluctuating demand and prices for wines the above terms are reasonable. in any other case an amount not exceeding the total fees and charges paid by you for storage in the previous 24 months. This does not limit in any way our liability to the extent that it may not be excluded or limited as a matter of law. We agree to hold and store the wines only and, for the avoidance of doubt, we will not be liable for the state and condition of the wine including (but not limited to) any change resulting in ullage, maturing, ageing, decomposition or deterioration of the wines or packaging. Given the nature of the product we do not provide refunds for corked wine. We are not responsible for advising you about maturation dates or ideal drinking windows for the wines (which are, in any event, subjective). We are not liable for any indirect or consequential loss or damage or for any loss of data, profit, anticipated savings, reputation, bargain, opportunity, revenue or business however caused, even if foreseeable. We will not be liable for any failure to perform our duties under or in connection with this agreement for any reasons which are beyond our reasonable control. This may include any failure on the part of our designated warehouse operator or facility which is outside of our control, as well as strikes, lockouts or other industrial action; civil commotion, riot, invasion, war, threat or preparation for war; fire, explosion, storm, flood, earthquake, subsidence, epidemic or other natural physical disaster. We reserve the right to alter these terms and conditions at any time. Any such changes will take effect when posted on our website. It is your responsibility to read the terms and conditions on each occasion the website is used or products ordered. Your use of the website or your agreement to place or retain wines in storage with us shall signify your acceptance to be bound by these latest terms and conditions. If any provision of these terms and conditions is held by a court or other competent authority to be invalid or unenforceable in whole or in part the validity of the other provisions of these terms and conditions and the remainder of the provision in question shall not be affected. We will not be liable for any failure to meet our obligations occasioned by circumstances beyond our reasonable control. These terms and conditions shall be governed by the laws of England and Wales and you agree that the courts of England and Wales shall have exclusive jurisdiction in relation to.